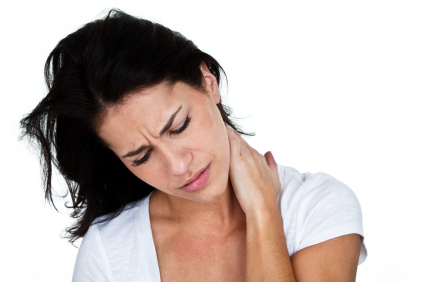 You must have experienced the unpleasant feeling of waking up with stiff and sore neck at least once in your life. Believe it or not, you can solve this problem in just 60 seconds in 3 simple steps, and we bring you a trick how to do it. find with your fingers that painful spot on your neck and make sure to use the hand depending on the side of the pain, and so use the right hand if the pain on the right side or the left when on the left side of the neck. Press the sore spot with a finger, or fingers. If you cannot reach properly the sore place, instead of finger you can use a tennis ball or similar item that can be of use for this problem. Slowly turn the head to the opposite side of the sore area and tilt and turn diagonally, like you want to touch the armpit with your chin. Hold for 10 seconds and relax. In this way, you strain the stiff muscle and that pressure will gradually relax the sore muscle. Repeat these 3 steps ten times in a row. This process will help reduce neck pain, but if it persists, it is the best to seek professional medical help and ask a specialist to diagnose the cause and provide effective treatment. This entry was tagged neck, neck pain, Pain relief, sore neck. Bookmark the permalink.